"Stylish Passionate Folk Rock" - R2, "Outstanding and Evocative" - FATEA, FolkLaw's music will get your feet tapping and your mind thinking. Inspired by 10 years on the road in Europe and North America, FolkLaw's songs are a commentary on life, with earthy lyrics and vocals accompanied by Celtic fiddle and distinctive vocal harmonies. Described as "Show of Hands with a new wave ethic" (fRoots) and winning friends and fans wherever they go, FolkLaw are a unique blend of energised entertaining UK folk-rock. Out now! The Brand New FolkLaw Album "We Will Rise" - featuring all new songs, and an extended line-up including the swirling Irish flute and whistle of Jacquelyn Hynes (of Silver and Wood), the pure vocal and piano of Emi McDade , and the fantastic earthy Accordion of Paul Hutchinson (of Belshazzars Feast). There's a couple of promo videos from the album below and more to follow when we get back from Ireland later in the year! 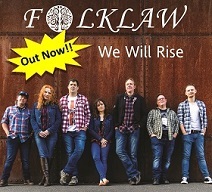 We Will Rise comes on the heels of FolkLaws acclaimed album Smokey Joe, which was described as "Outstanding and Evocative" by FATEA, "Stylish Passionate Folk Rock" by R2, and "a milestone of folk music" by FolkWords "Smokey Joe" is FolkLaw's latest album. 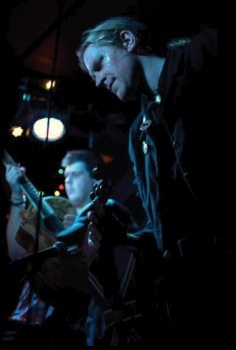 Mixed by Lyndon Webb, mastered by Daz Smith, and released on Fiddle of 8 Records, it's been launched to critical acclaim, been played on radio from the BBC to Canada, Germany and Australia, and includes tracks which have appeared on the front cover of R2 magazine and reached the semi-finals of the UK songwriting contest. 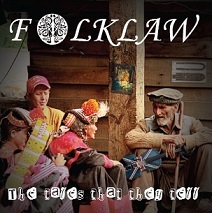 You can listen to some of the album tracks on the FolkLaw Music pages and buy FolkLaw CDs in the FolkLaw shop!. 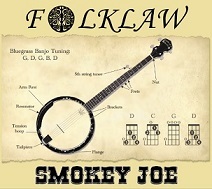 Smokey Joe is also available digitally on iTunes, amazon.com, amazon.de and other regional Amazon stores. On the music pages, you can listen to some of the FolkLaw songs, and on the videos page we've got various FolkLaw Video Singles and live videos of FolkLaw in concert! If you would like to be updated about future CD releases, concerts and other FolkLaw gossip, then please join the FolkLaw Mailing List - powered by mailchimp. 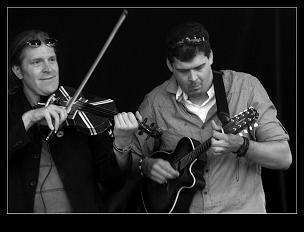 Check out the concerts page for details of forthcoming FolkLaw gigs. You'll find FolkLaw at various events from intimate candlelit folk clubs to the bright lights of the festival stage. 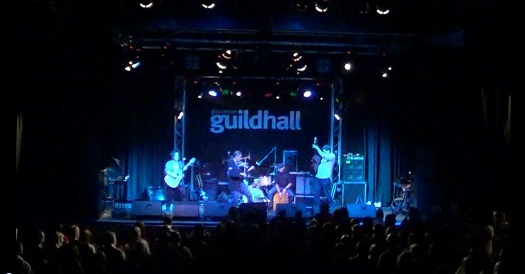 Highlights to date have included main stages of The Great British Folk Festival, Swanage Folk Festival, Monmouth Festival and Lechlade Festival, playing to crowds in excess of 1,000, as well as support slots alongside household names of folk such as Seth Lakeman, Ade Edmondson, Hayseed Dixie and The Wurzels. FolkLaw have played over 500 gigs over recent years but the sound is still fresh and vibrant, and without doubt the band's favorite times are on the stage.